 When it comes to seniors marketing GBD delivers sound strategy, creative flair and proven expertise. Our services span feasibility to sales, and cover the full spectrum of lifestyle needs for over 50s estates, retirement villages, community care and residential aged care. You’ll find our approach flexible and responsive, bringing you inspired solutions, and results that count. 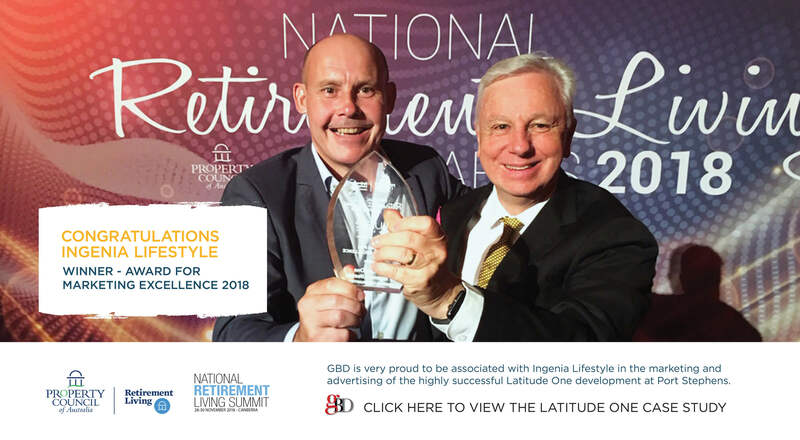 GBD specialises in delivering creative, effective marketing ideas for clients and has built a reputation in the retirement village marketing industry through the sheer weight of great results. Quite simply, we know how best to market retirement villages and we do so every day. 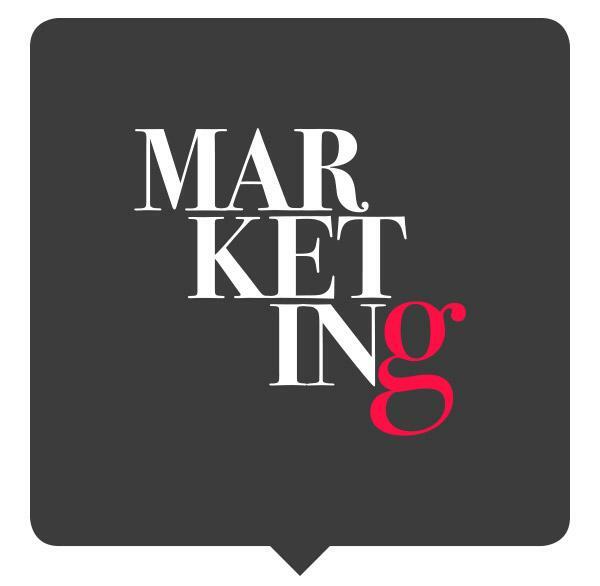 From greenfield to settlement GBD offer the full range of marketing services for the retirement industry. 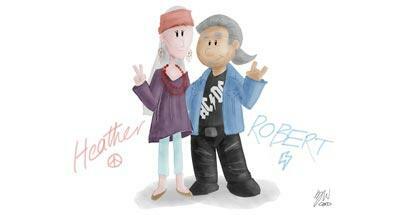 Follow the story of a retiring couple, Heather and Robert combined with new and innovative marketing trends. 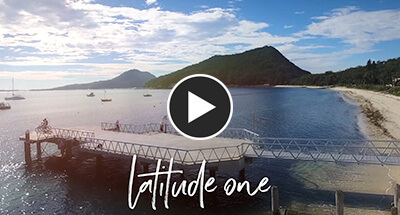 A 60 second TVC promoting Ingenia Lifestyles new over 55s resort in Port Stephens. 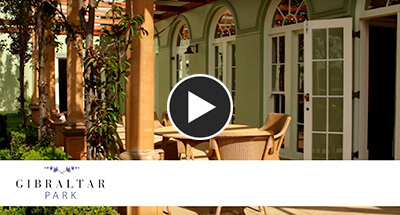 Produced by GBD for Gibraltar Park Estate retirement village's social media marketing campaign. 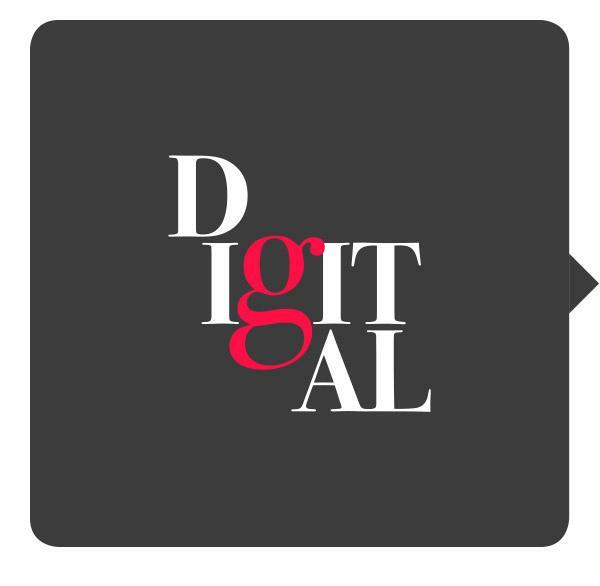 As a full-service creative and marketing agency, we have everything you need all under one roof. With our expert knowledge, innovative designs and professional ongoing support, you will get results – But don't take our word for it. See what our marketing clients say. GBD impressed us with the portfolio of work they had built up under Jeff McGarn’s leadership, especially in the retirement living space. A mixture of internet (www.theterraces.org.au), visual, print and radio advertising methods have been deployed. Already we have a healthy waiting list for the retirement units, with the first stage of the project still over a year from completion. We had approximately 300 visitors to our open day. It was truly a great day and certainly the best open day I have experienced in my Australian career in the sector! I acknowledge that the success of the open day was largely due to the advice provided by GBD and the quality of the marketing campaign leading up to the event. This is also evidenced by the fact that we took 8 applications in the week leading up to the open day and 3 applications yesterday (the day of the event). GBD has been closely involved with our campaigns since 1995 producing collateral material of a very high standard. Since Gold Logie winner John Wood became our ambassador, GBD's creative team has produced some humorous TV and print commercials that have had excellent results. Creativity is only half the story – of equal importance is attention to detail, adherence to deadlines and quick response to our many and varied requests. 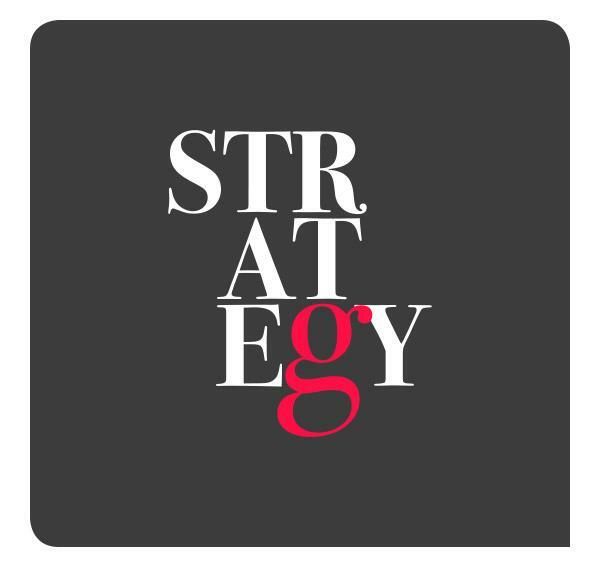 I can say with considerable authority that Jeff McGarn as an advertising agent and communicator knows more than almost anyone in the sector on what works and what doesn’t. 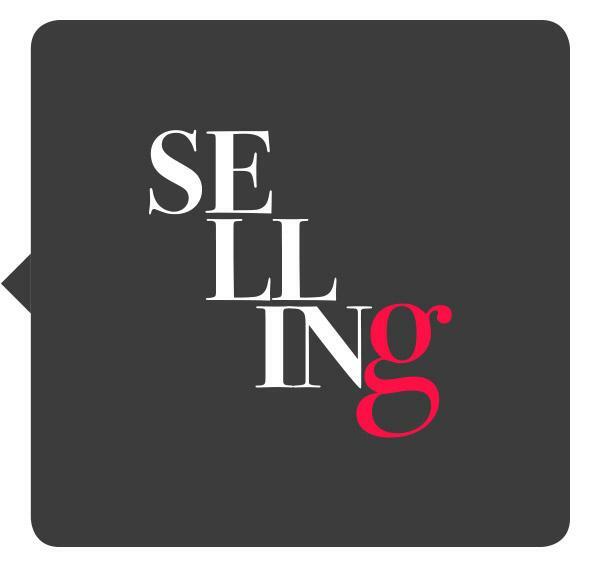 Jeff delivers practical and reasoned marketing solutions that deliver enquiry and sales results. Importantly, I can report that his clients acknowledge the quality of service GBD delivers. GBD helped us to better understand our target market and align the sales campaign accordingly. We found their experience and knowledge of the industry to be excellent. Collaboration and engagement with the team was great. GBD took great care to listen and understand our needs and vision for the project, which translated into a successful Stage 1 selling campaign. Our project objectives were exceeded. The successful advertising gained enough momentum and interest to push into Stage 2 sales. We engaged GBD to assist us to formulate a strategic marketing plan for our four Sydney villages, and refresh our outdated brochures and documentation. We worked closely with their creative staff to achieve that objective. The results were most successful as was evidenced by the improved sales rates, brought about in no small way by GBD's enthusiasm and industry knowledge. GBD has been instrumental in helping Anglicare Sydney’s Chesalon division with the establishment of our first retirement village which will be located within the new Oran Park Town. Jeff McGarn and his team have demonstrated keen creativity, an ability to work with and understand our specific culture and to work very professionally to deliver excellent results. Jeff McGarn is one of our industry's most creative minds and is a regular speaker at our National and State Conferences in the area of advertising and marketing seniors housing. Feedback from our delegates at our conferences ranks Jeff as one of our most respected and compelling speakers. 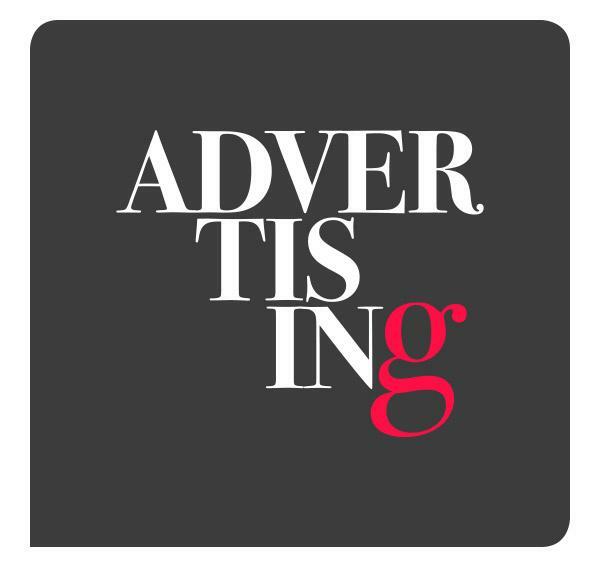 Delegates note the passion, thoughtful ideas and innovative approaches to advertising and marketing that GBD, with Jeff's vision, brings. GBD have worked on marketing materials in several of our villages over a two year period. The breadth of skills you have within the team to bring together, research, design, marketing, photography and passion for the Retirement Living Sector were highly valuable. I am very happy to act as a referee for GBD within the Retirement Living Sector. Produced for Ingenia Lifestyle Star Collection by GBD.